Every once in a while, I come across an idea so original that it makes me stand up and take notice. These are the ideas that make me wonder why nobody had thought of it before. While the execution of the concept might be stylistically similar to other authors, the core of it is purely imaginative. For the most part, The Invasion of Heaven is such a book. The idea that art can literally affect a person’s mental and/or physical reality is quite a novel concept. 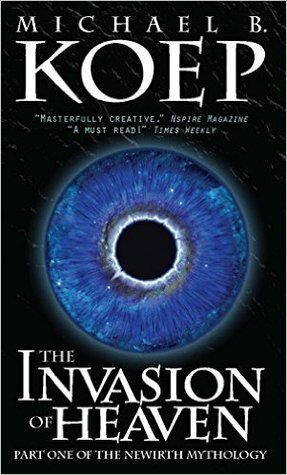 Even if the style might be a little bit toward Dan Brown’s Robert Langdon series, The Invasion of Heaven is still original enough to stand on its own. While I did mostly enjoy this book, there were a few curious choices that soured my experience. The handful of formatting/proofreading errors aside, and ignoring some of the pacing issues (some chapters were way too long), I wasn’t entirely keen on the framing of the plot. I mean, if we’re reading about someone reading this book, then I would have thought it would have been used more thoroughly than a few spots here and there at the beginning and sparingly (if at all) near the end. The book just doesn’t read quite like I’m reading along with someone’s account of events. I’m also somewhat confused by the double-twist ending as well, and I don’t think it landed quite as well as it could have. There are numerous strengths to this tome, though, that overcome its few weaknesses. From the handwritten flare included at the start of chapters and in a few spots throughout, to the well placed and somewhat believable twists (aside from the final one, which was telegraphed from the start), The Invasion of Heaven is an entertaining read by any standard. Perhaps the thing that stood out the most, though, was the reasonably accurate depiction of mental illness and what it looks like to outside observers. This is often done in a way that merely uses stereotypes, but this book does it in a way that’s eerily real. An original concept with almost flawless execution, I give The Invasion of Heaven 4.0 stars out of 5.